Netflix continues to cancel its Marvel properties, announcing today that they will be canceling Marvel's Daredevil after three seasons. The move comes on the heels of Netflix canceling Iron Fist and Luke Cage last month - but there is hope that Daredevil will live on outside of Netflix. "Marvel’s Daredevil will not return for a fourth season on Netflix," the streamer said in a statement. "We are tremendously proud of the show’s last and final season and although it’s painful for the fans, we feel it best to close this chapter on a high note." 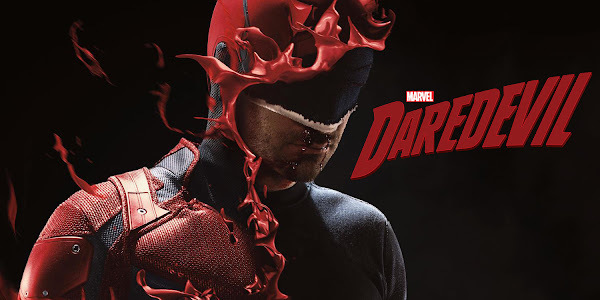 "We’re thankful to our partners at Marvel, showrunner Erik Oleson, the show’s writers, stellar crew and incredible cast including Charlie Cox as Daredevil himself, and we’re grateful to the fans who have supported the show over the years," Netflix added just a month after the third season of the series launched on the service. Fortunately, unlike Iron Fist or Luke Cage, the door seems to be wide open for the blind protector of NYC’s Hell’s Kitchen, perhaps on the upcoming Disney+ streaming platform. With The Defenders never intended to return beyond its 2017 miniseries run and Iron Fist and Luke Cage canceled, that leaves only two Marvel series on Netflix, Jessica Jones, and The Punisher. A Daredevil series on the Disney+ streaming service or a movie would also be an option. Overall, the cancellation of the series starring Cox and Vincent D’Onofrio, who had been tweeting about a fourth season in the past few weeks, shows just how strained relations between Netflix and the Jeph Loeb run Marvel TV have become. This became evident with the abrupt cancellation of Luke Cage last month, a week after Iron Fist was also shelved. With no official return date for The Punisher or Jessica Jones has been made public by either Marvel or Netflix, we hope those projects will see the light of day.